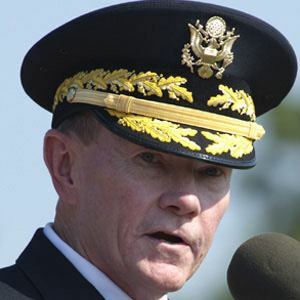 Four-star general who was tapped by President Barack Obama to be the 18th Chairman of the Joint Chiefs of Staff, the highest military post, in 2011. He studied literature at Duke University before going on to West Point. He was deployed with the Third Armored Division in the first Iraq war and returned there in 2003, facing widespread insurgency. He grew up in Jersey City, New Jersey. He was not Barack Obama's first pick for Chairman of the Joint Chiefs of Staff, but he was the one that both Obama and Congress could agree on.